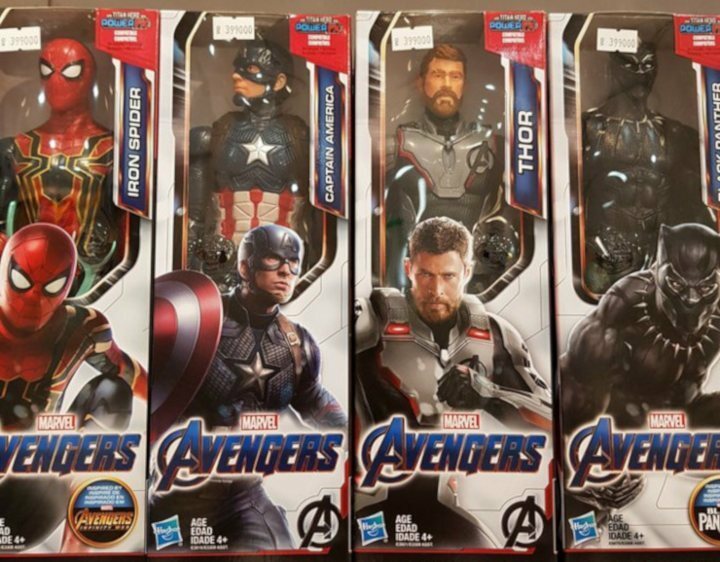 'Avengers: Endgame': What Can the New Action Figures Tell Us? The Russo brothers, Anthony and Joe, are determined to leave fans of the Marvel Cinematic Universe with as little information as possible regarding the upcoming 'Avengers: Endgame'. But, of course, this has only made fans even more motivated to try to find any clue possible about who will survive the film, and who may have survived the previous film. The latest clue came in the form of promotional action figures which were recently released. Among the characters who have been made into these toys are those such as Starlord (Chris Pratt), Spider-Man (Tom Holland), and Black Panther (Chadwick Boseman), all of whom dissolved into a cloud of dust at the end of 'Avengers: Infinity War' at the snap of Thanos' fingers. Not only this, but Valkyrie (Tessa Thompson), who was thrown to her death by the very same Thanos, is also seen among the figures, leading many fans to question who actually died and who we might seen in the new sequel. However, Joe Russo was quick to shut down any rumours, telling Collider that the action figures give nothing away about the new film, neither with regards to the outfits nor the characters themselves. "What's interesting about toy leaks is that 99% of the time they're not accurate, because toys are frankly tailored to either old concepts or completely different concepts from the movie," Russo explained. "I laugh a lot when these toy leaks show up because I'm like well that's great because that's a misdirect 'cause that has nothing to do with the film." For now we can see two trailers which we can actually rely on to give us a real idea about the upcoming film: in the first we learnt the title and release date of the film, and in the second trailer, released during the Super Bowl, we were able to see a few more shots and learn about who else had survived. Where are the Genuine Clues? After throwing one of the theories which made the most sense straight out of the window, Joe Russo decided to explain where the real information about the film is hidden: "Frankly the very essential nature of the storytelling is contained within the brains and computers of all the great individuals working on the FX houses. That is much more sensitive material." The latest news about the film which has come to light is its lengthy duration: it is rumoured to be around three hours long and could even have an interval in the middle. Whether or not this is true, the directors are having their fun watching fans wild speculate. But good things come to those who wait, and we only have until 26th April before we will be able to see the film in cinemas.